It’s Illegal! How Is It Racist to Enforce Immigration Law? 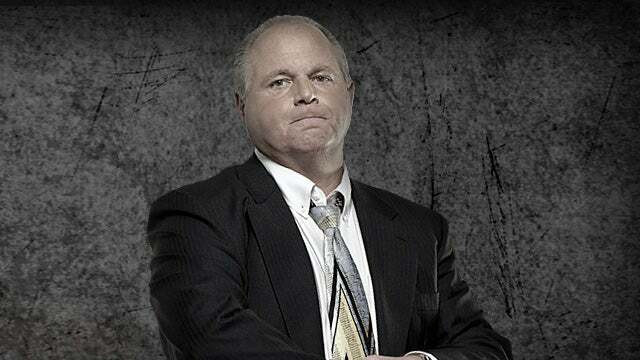 RUSH: So in the process of doing show prep today, this is one of these days where even show prep is a bit of a distraction because so much of it is puzzling to me, so much of it is just -- I don't know -- I asked myself, how can this be happening, given the circumstances with the last election? For example, story after story today detailing how overwhelmed ICE, Border Patrol, us, how overwhelmed we all are at the borders. They're just out of resources. We're out of detainment centers. We're out of places. We're out of food, water. There are so many that we are now just releasing them. Catch-and-release has become the order of the day because it's the only thing that can be done. And if we elected the most anti-illegal president ever, how is this happening? Well, we know how it's happening. The border's literally being flooded. 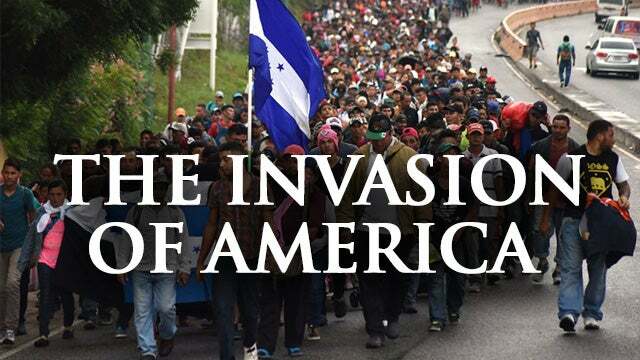 There is an invasion taking place, and I'm not one of these people that thinks it just happens to be coincidence that so many people in this hemisphere seek to get into America at this point. There's a model for this, and it's the state of California. You know, folks, I was chatting about this last night. 'Cause I got the usual text: “Can America be saved, Rush, or are we gone?” If we don't reelect Trump in 2020, folks, I don't know. I’m just gonna be straight up with you. But take a look at California as the model. California used to be a really, really Republican state. It used to be that we had our share of governorships, we had Pete Wilson, we had George Deukmejian, of course Ronaldus Magnus. The Republicans led the California assembly and the Senate for numerous years. California was considered a really, really cool place, and it was a really, really strong Republican state. Now look at it. The Republicans essentially are irrelevant. And how did it happen? And California, I think, if there is such a thing as a model -- and there may well be -- on the part of people who are attempting to overthrow this country, California is the model for how you do it. And the first thing that you have to do -- well, arguably the first thing, you open borders and you just permit illegal immigration out the wazoo. Now, there are a host of reasons for this, but the primary result is they're illegal, and they remain. They're illegal and they get benefits. 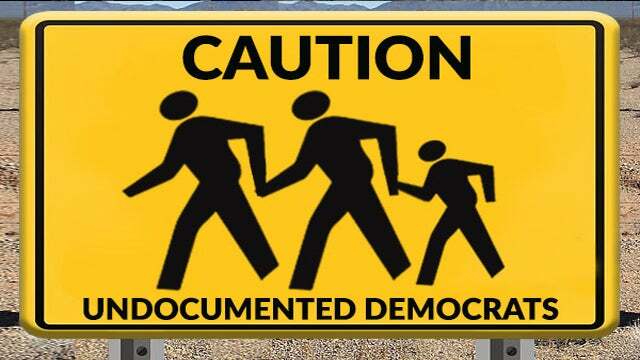 They're illegal and they have kids who become citizens. They're illegal and they get education. They're illegal, and they get everything. What does that mean? It means that the rule of law is irrelevant. And once you can inculcate lawlessness into a society, once you can convince a society that lawlessness doesn't matter, it's kind of a variation on the old theme from Daniel Patrick Moynihan, defining deviancy down. What that means is that as society corrodes and as it corrupts and as aberrant criminal behavior gets worse and increases, you throw your hands up at various stages. “We can't deal with this,” so you just declare it normal. Once you have convinced a people, a population or a community, whatever group you want, whatever you or whenever you have conditioned them to think that lawlessness doesn't matter, then look at all the doors that open for you, look at all the gates that open. Now you've got sanctuary cities. And how is all of this greased? How is all of this made possible? By use of shame and racism and bigotry. It is racism to keep these people out. It is racism to deny them benefits. It is bigoted to not educate them. It is racist and bigoted and no compassion if you don't take care of 'em. So you guilt people into accepting -- maybe not accepting, but you guilt people into tolerating lawlessness. And then there's no end. Now, you have sanctuary cities, and they're based on the same thing. You have sanctuary cities which are based on we can't let law enforcement enforce the law. That's racist. It's bigoted. These are poor, disadvantaged people. And at the root of all of this is illegality. At the root of all this is the deterioration of the whole concept of the rule of law. And it is metastasizing all over our country in all kinds of ways. We have been defining deviancy down for generations. And we are really doing it now. Now, here comes Kirsten Gillibrand. This is an example. This is how the progression here happens and it ends up being a geometric progression. Maybe we should say an algorithmic progression. Now here comes Kirsten Gillibrand who says (paraphrasing), "Okay, we need to acknowledge that we have at least 11 million illegals here. But they're here! They're here, and they're working! And they're paying taxes! We need to make sure they get Social Security." Wait. Whatever happened to "illegal"? It's just totally overlooked. In the entire immigration debate or argument, the fact that most of us are talking about illegal immigration is irrelevant. It's not even a factor. Illegal immigration, immigration, all the same thing. Illegal and legal, it's all the same thing, and we must tolerate it. And then we're told, "You shut up. This is a nation of immigrants. These are the kind of people that made this country great. These are the kind of people and this is the circumstance that enabled this country to become a superpower." Well, hell's bells, it isn't! We shut down immigration, legal and otherwise, from the early 1920s all the way through 1965. So how did America's economic boom in the post war period, how the hell did that happen without immigrants? Hmm? How did it happen? If immigration and diversity explain the greatness of America, then how the hell did we get even greater and reach our pinnacle when there wasn't any immigration to speak of? Because they're lying to us, is why. And they're guilting people. And they're silencing people with these never-ending allegations of racism and bigotry and the forced acceptance of lawlessness. So you have California. Say, why is California the model? Well, if it was -- I mean, I don't know that somebody somewhere said to take over the United States, we must first conquer California. I don't know if it was that way or if it just was recognized as something that was happening. But there is no Republican Party there, to speak of. There is no Republican Party that is a factor there. And look, we're talking now about -- what presidential campaign was it that wants to give illegals driver's licenses? Andrew Gillum in Florida, right? Gillum wants to do two things. He wants to register one million new voters -- focusing on felons, of course, now legal in the state of Florida for the presidential 2020 election to wipe out the influence of Ron DeSantis, the governor, and to get rid of the Trumpster. “Well, because it would be racist, you see, to deny these people of color entry. It would be bigoted and racist and mean-spirited and certainly, certainly it would not be compassionate." Oh. Okay. Trump could shut it down. Don't know why he doesn't. Mid-Ohio's FM News and Talk Station!